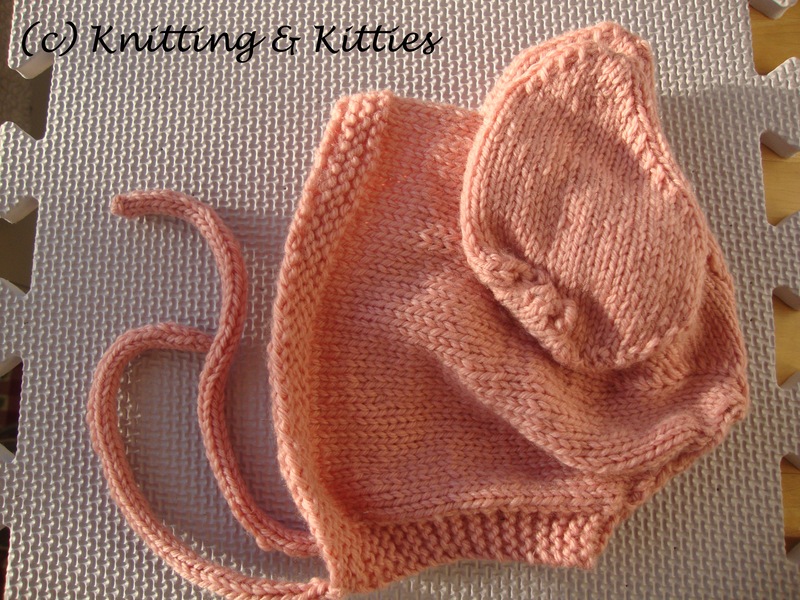 Remember way back when I was knitting up baby shower prezzies for a lovely lady I work with? Way back in October? Despite the lack of posting, I did manage to finish them. Little piggie ears and all. 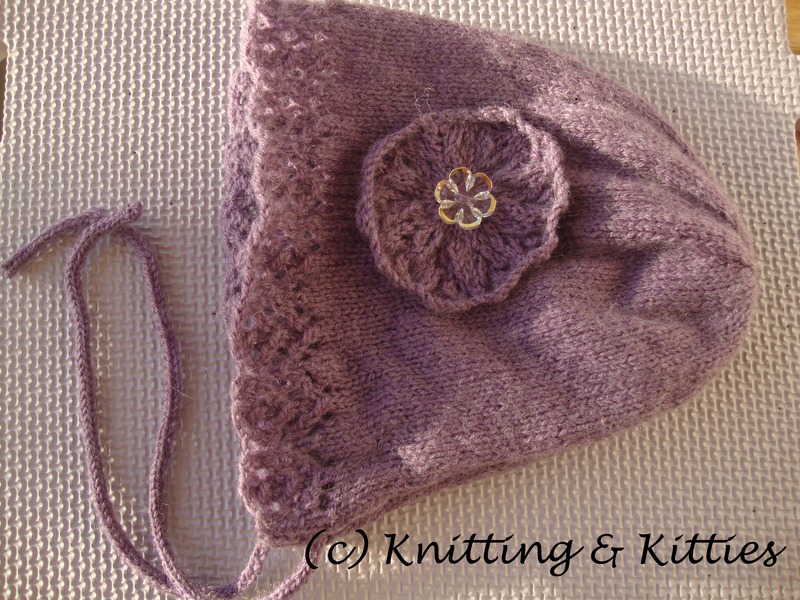 The soaker knit up more easily than I thought it would. I’ve never split anything for legs before, but it was actually pretty cake. And it has a wee little curly tail! Easily the best part! I was sorely tempted to buy another issue of the magazine so that I would have enough yarn to make the matching booties as well. But, alas, common sense overruled my knitterly wants. Tiny zombie added for scale. 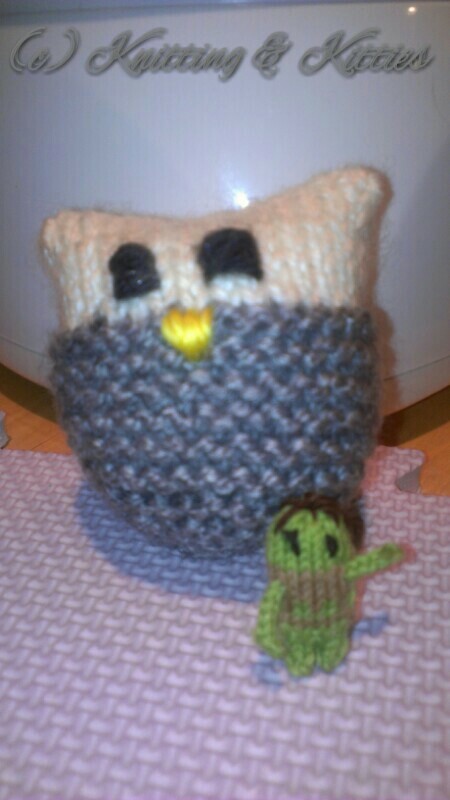 Mr Owl is knit from Lion Brand or Patton’s something or other. It was stash yarn that had long since lost it’s ball bands. I’m guessing they were wool or wool blends from feel and where in the stash the were living. 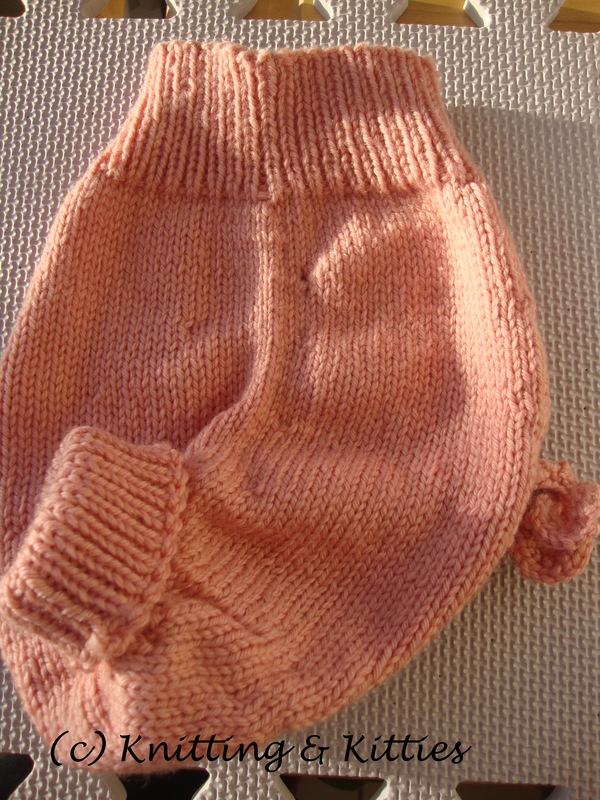 The pattern for him is also from Simply Knitting. I omitted the googly eyes since it was going to be for a baby (or a dog, depending on who got to it first) and I didn’t want anyone choking on them. Instead, I added a squeaker. The squeaker I got from PetSmart’s web site. (I don’t see them on their website any more. I got them ages ago, so it’s possible they don’t carry them any more. It’s also quite possible I’m not looking hard enough.) It’s meant to be for fixing up a favorite pet toy, but I bought them for putting in knitted toys. I’ve found that very small children and cats/dogs like a lot of the same things. This entry was posted in Baby, deadlines, FO, magazine. Bookmark the permalink.